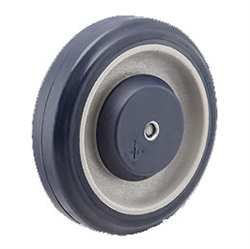 Pemco PolyKat Shopping Cart Wheel 4"
Pemco PolyKat 4" replacement shopping cart wheels are made of durable polyurethane on polyolefin wheels 4"x 1.25". Fits 5/16 Axle and nut. Wheels feature a sealed precision ball bearings and have a double raceway that is insert-molded into our polypropylene hub. This bearing is a single spindle design that cannot become misaligned with use. It is also sealed on both sides after being pre-lubricated with high-quality grease.